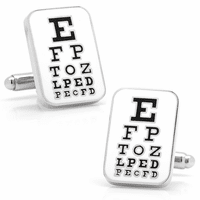 FEATURES/SPECS Get a dose of fashion medicine with these medical themed cufflinks. 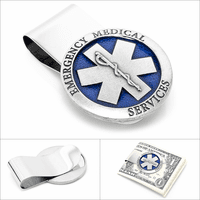 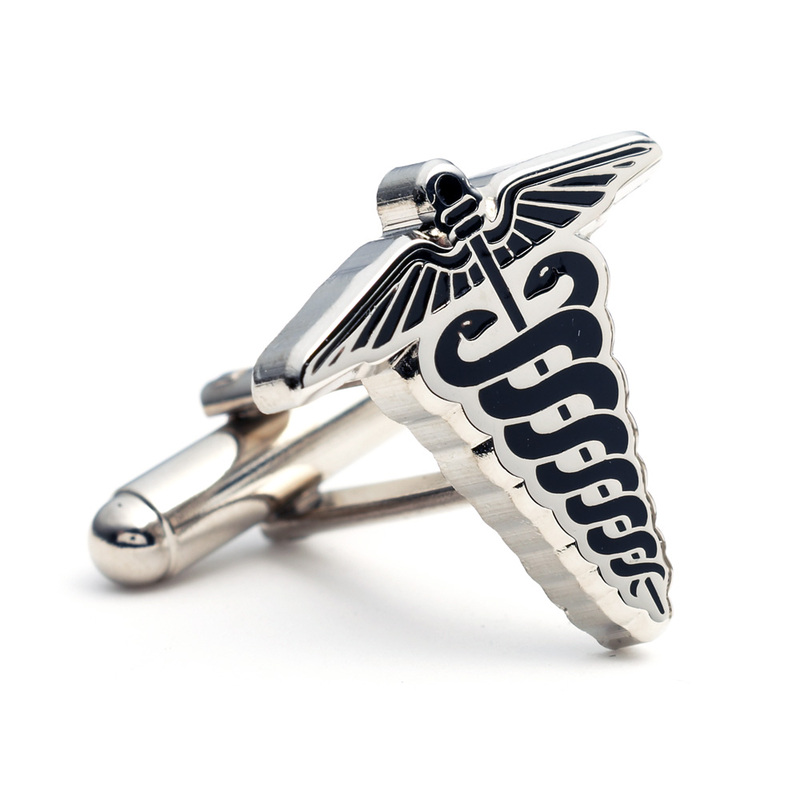 They feature the Caduceus symbol detailed with black on polished stainless steel. 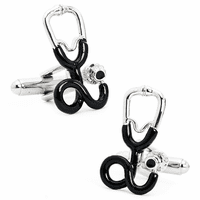 The swivel closure is simple to use and will stay safe and securely in place. 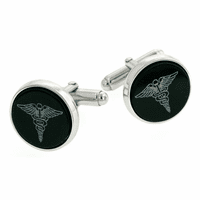 We also offer our famous 'love it or replace it' guarantee with every set of cufflinks we offer.